If there’s one type of train books for kids I’ve delighted in collecting more than the others, it’s been Christmas train books. I’ve been looking forward to sharing this list of holiday books for young railroad enthusiasts for a long time, and here it is. 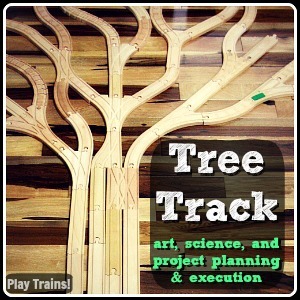 I’ve also included suggested activities for each book, to give you some ideas of how to incorporate the books into train play. Enjoy! This short, simple, and cheerful board book about a ride on the Santa Express would be best for babies and toddlers. With just one sentence on each of the six pages, the rhyming story about a ride on a train to see Santa isn’t too much for short attention spans. But the busy, bright illustrations are packed full of fun, Christmasy details to discover together, making this a great book for encouraging language development in the littlest engineers. And yes, there is a button on the rightmost wheel that plays “Jingle Bells.” And yes, your child will love it more than you will! But I smile every time the Little Engineer finds the book and punches the button a few times in a row, maybe because I’m just happy that he still enjoys this one despite being a “big” five-year-old now. Read this for: the opportunity to talk about all the fun details in the illustrations with your baby or toddler. This is a pretty board book with iridescent glitter frosting the detailed illustrations. While the text is fairly straightforward aside from the dialogue, which is generally very much in the characters’ voices, the story itself is sweet: when Percy is late bringing the Christmas tree to Tidmouth Town Square, Thomas offers to let the children decorate him while they wait. Overall, this is a fun book with very festive visuals. 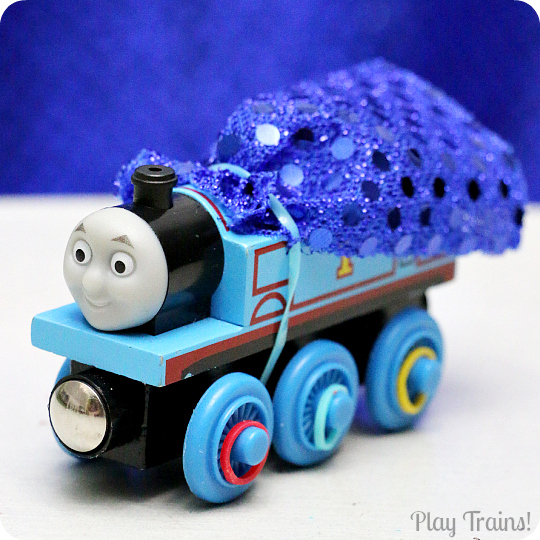 Read this for: the thrill of seeing Thomas decorated like a Christmas tree! This lift-the-flap board book tells the story of the Sodor engines working together to help rescue Thomas when he gets stuck in the snow transporting the town Christmas tree. I think this book uses the lift-the-flap form in a very clever way. Rather than revealing things that are hidden in each scene, lifting the flaps moves that part of the picture forward in time, advancing the story in the pictures alongside the text. The illustrations are by my favorite Thomas illustrator, Richard Courtney, which gives the book a classic feel. The Little Engineer especially loves the picture of Thomas covered in snow — it looks like a Thomas made out of snow! Read this for: the engines working together as a team, the lovely illustrations, and the clever way the lift-the-flap aspect is used. We haven’t read this book yet — the Little Engineer likes Dinosaur Train in phases, and he has yet to be in one of those phases at Christmastime — but based on the reviews, it looks like a good one for young fans of the show. The dinosaurs celebrate the Winter Solstice by taking a train trip to the snow. Read this: to make your Dinosaur Train fan smile. 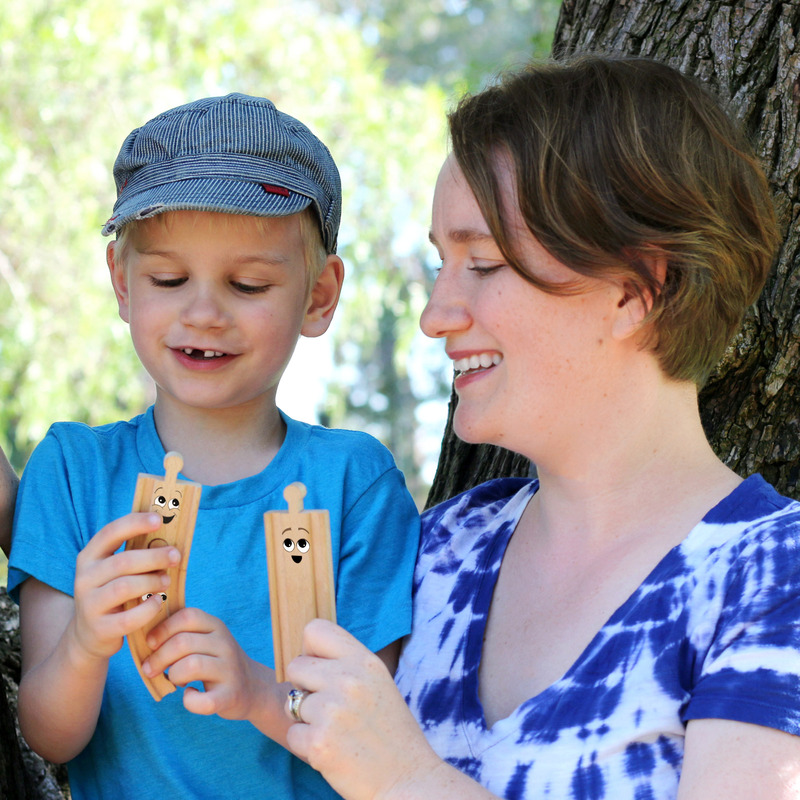 I’ve written about how much our family loves the Peter’s Railway series in our Sand Tracks Train Beach Activity and Big Ticket Train Gifts posts. 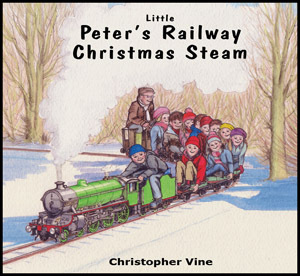 This is one of the “Little Peter’s Railway” books, a small, short paperback story that’s great both for the intended audience of the longer books and for younger train fans who aren’t quite ready to listen to a chapter book yet. It tells a sweet story: Peter and his grandpa, after seeing how sad Peter’s younger siblings are when the village hall’s visit with Santa is cancelled, set up a Santa’s grotto beside their railway and put on a magical event for all the local children. Read this for: a story of stepping up, calling on one’s creativity and willingness to put in the effort, and continuing a community tradition. 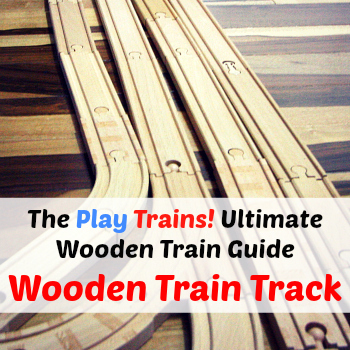 It’s also an especially wonderful story for children who share a love of trains with a grandfather. This is one of my favorite Thomas books. The story and illustrations are infused with a sense of joyful community spirit as Thomas travels across the Island of Sodor. He interacts with the people his tasks are helping in a way that goes beyond cheerful and friendly and gives you a sense that Thomas is a real part of the different communities along his route — and that there are different towns along that route, rather than just Tidmouth or Knapford. The text is well-written and lovely to read. Most of all, I love that Thomas is a complex character in this book: like many kids, he wants to do the right thing, with more than one thing motivating him to try. He keeps telling us he wants to show Father Christmas that he’s a Really Useful Engine, but the author also shows us that Thomas understands how important all of his tasks are to the people he’s helping and how much they appreciate them. You get the sense that deep down he just is a Really Useful Engine, or at least he’s on his way to becoming an engine who will just do the right thing without needing any outside motivation. Through the book, he’s worried about not being able to be there to hang his stocking at the sheds, but he chooses to do the right thing without complaint, even when a last minute errand means that he will not be back in time to hang his stocking. (He does share his worries with Sir Topham at that point, modeling good communication — something often lacking in Thomas & Friends stories.) Thomas is rewarded both by the sweet gratitude of the boy he helps and by his stocking being hung in the shed, full of exactly what a steam engine would want in its stocking (which makes for a funny last line of the book) and a note thanking him for being kind and helpful. The book rides a line of ambiguity about who Father Christmas is deftly: the child who still believes in Santa will think that Father Christmas filled the stocking and wrote the note, while an older child who knows the truth will see the subtle clues that Sir Topham is behind it. All in all, this is a warm and fuzzy book for me, one I look forward to reading again this year. Read this for: the classic feel, well-written text, and lovely illustrations. I was surprised at how clever and fun this Thomas-ified version of The Night Before Christmas is! 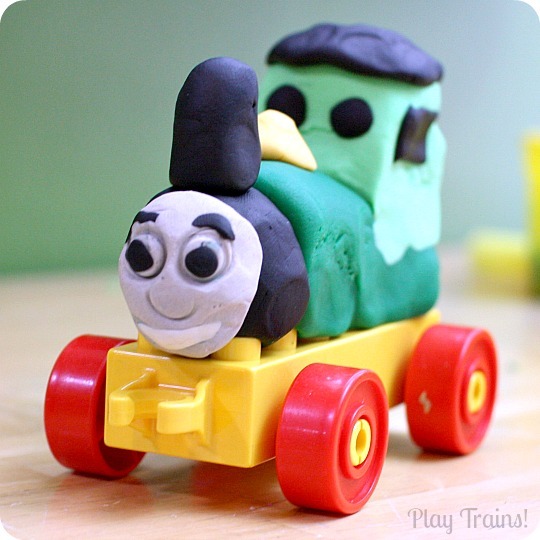 The rhyming verse is hilariously irreverent — at least when you’re used to the usual tone of Thomas books and videos. In this version of the story, Santa gets sick, and pawns off the present-delivering on Sir Topham and his eight not-so-tiny steam engines. One word of warning…about a word. In the middle of the book, Santa says, “Oh, darn!” Which really isn’t so bad, and it does make for some nice alliteration with “Dash it all!” coming right after it, but it surprised me because it’s not something you generally see in a Thomas & Friends book! Now you know it’s there, so if you want substitute another word, you’re prepared. Read this for: the cleverness! The hilarity! This one is great. 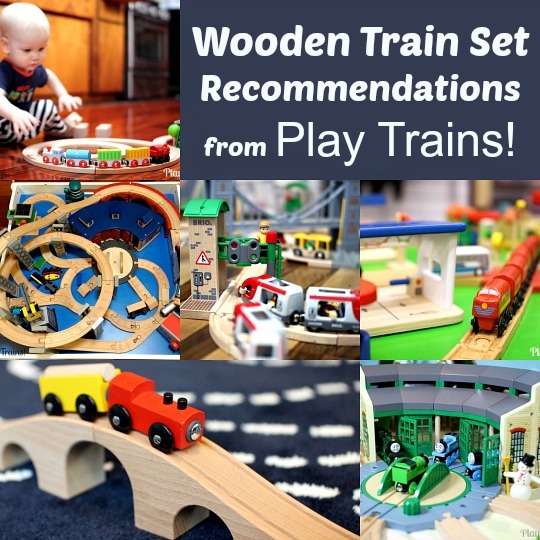 Suggested activity: couple up a few wooden trains to each other and a freight car (for a sleigh), and have them deliver tiny toys around the wooden train layout for Santa! This search-and-find book can appeal to a wide range of ages. Older kids will enjoy the challenge of finding all the hidden items in the beautiful pictures. 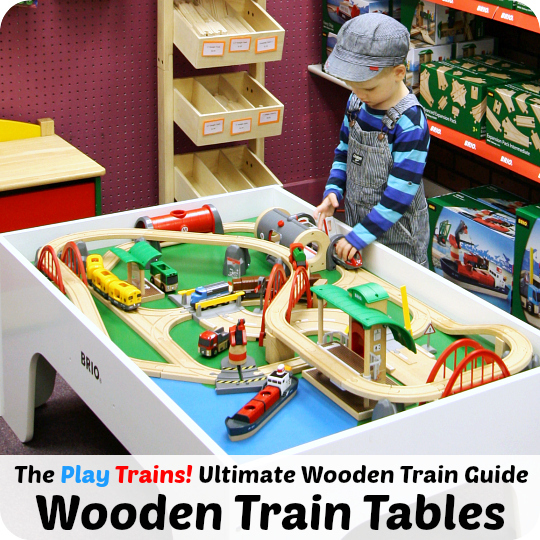 It also works as a read aloud for preschoolers, who can then search for a few of the objects with help. While the text is mainly rhyming lists of items to find, it’s very pleasant to listen to and read aloud, and the title for each page, the pictures, and the objects work together to tell a the story of a toy train set, from its creation to becoming a child’s favorite toy to getting stuffed up in the attic to finding a new home with someone who fixes the train set and creates a whole world of upcycled scenery for it to call home. I love the maker vibe to the end of the book, and the photos in that section are great for inspiring your own homemade train set scenery at home. This isn’t a Christmas book specifically, but between the toy workshop and toy store scenes at the beginning and a snowy scene in the middle, it’s very appropriate to read during the Christmas season. We love the Thomas in Town series of holiday Thomas & Friends books, and Christmas in Wellsworth is no exception. The illustrations are lovely, and the story is well-written. I like that while it’s once again about bad weather getting in the way of Christmas, it’s also a little different: this time, it’s frost and fog that get in the way of Thomas completing his task, and a snowfall on the day after Christmas becomes a joyful thing rather than the problem in the book. I also like that in this book, Thomas does the right thing, even though it’s in conflict with accomplishing his task, and with making Sir Topham and his family happy. I think it’s great to see Thomas making the right call instead of thinking he’s making the right call and being chastised for it later when it turns out not to have been a good idea. Read this for: the beautiful illustrations and the story about having the right priorities and doing the right thing, even when it seems like doing the right thing will disappoint someone. A Caldecott Medal winner, now considered a classic children’s book, The Polar Express is the by far the most famous Christmas train book ever. The illustrations are magical, and the gentle, inspiring story is wonderful to read. Be aware that the idea that Santa isn’t real is planted right there on the first page — as it should be, considering the whole book is about having confidence in what you know to be true, even when everyone else thinks the opposite. If you don’t want to put that idea in children’s heads before they come to the conclusion on their own, just skip the second paragraph. Read it because: it’s a classic for a reason! So, this is kind of odd, but I’m going to say it anyway: I like this Christmas-themed story better than the original classic. I feel like this story engaged the Little Engineer much more than the original, with the addition of the fun Christmas elements to the train story. The story is more lively and active, and the section with all the engines refusing to help is much shorter. And in addition to the “I think I can” message held over from the original book, the story shows the power of teamwork as Santa, the jolly clown, and the Little Blue Engine work together to deliver one last Christmas present that slipped out of Santa’s sack, each according to their abilities. We haven’t read this book — I’m ordering one for this year’s Christmas reading — but it looks wonderful, and the reviews are glowing. Cynthia Rylant is a favorite author of ours; we read all of her Mr. Putter and Tabby books together when the Little Engineer was three. The book was inspired by a true story of a Christmas train bringing presents to the children in poor coal towns in Appalachia on December 23rd. Read it for: the meaningful story and the beautiful illustrations — at least, that’s what I’m expecting to see when ours arrives! There are several stories about snow in the original Thomas the Tank Engine books that would be nice to read at Christmas time, but there is one that is actually about Christmas: “Mrs. Kyndley’s Christmas.” It’s a nice story about friendship, helping others, and gratitude. This is another book we don’t have, but once again it looks like it’s worth checking out if you have a Dinosaur Train fan. I believe it’s based on the same TV episode as the Dinosaur Train holiday board book I included near the top of the list, but written for a slightly older audience. While we haven’t read the book, we watched the Mickey Mouse Clubhouse: Choo-Choo Express video many times when the Little Engineer was younger. On a very hot day, Mickey and his friends are sent to the top of Mistletoe Mountain in the Choo Choo Express to bring back snow that never melts. With plenty of snow and a surprise visit from Santa and Mrs. Claus, this is a fun holiday adventure that can also be read (or watched) at other times of the year. The book has flaps to lift, stickers to stick, and a number of activities. 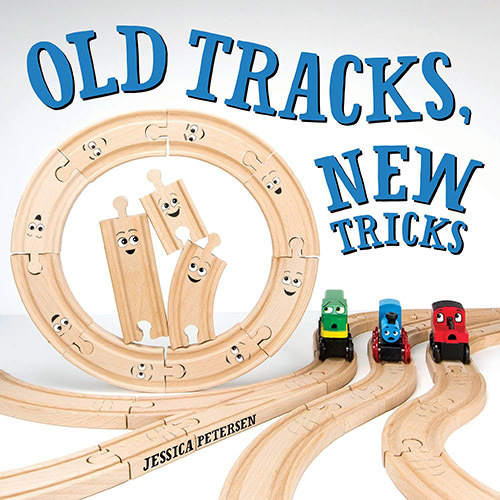 I just found this one on Amazon, so we don’t have it yet, but we always enjoy the Thomas & Friends early readers. Most of them are great to read to toddlers and preschoolers as well as to give to beginning readers. This Thomas & Friends coloring and activity book includes a sheet of pretty, sparkly, Christmas-themed Thomas stickers. The coloring pages tell a familiar story about Percy and James getting stuck in the snow while trying to make Christmas deliveries, and Thomas coming to save them with the help of his snowplow (which he does not like until, of course, it helps him save his friends…I wonder how many times he has to learn that lesson before it sinks in!). The story may echo many others, but hey, if the Little Engineer is any indication, kids love trains getting stuck in the snow. Among the activity pages, there are a few Thomas Christmas cards for kids to color and write on for their friends and family. Here’s another Thomas & Friends coloring book with a nice story running through the pages. Thomas is excited to deliver presents to the children of Sodor. But when Sir Topham Hatt announces that the engines will decorate their sheds, to be judged later that day, Thomas is sad not to have time to decorate his shed. He deals with his disappointment well, telling himself that he can decorate his shed next year and saying kind words to his friends as they tell him about all the wonderful decorations they are gathering for their sheds. At the tree lighting, Thomas delivers the presents to the children, who give him a present to take back and open at the sheds. The coloring book includes cute press-out cardboard Thomas & Friends Christmas ornaments, plus a number of activity pages mixed in with the coloring pages. I love this post so much! I think it is so cool that you paired each book with a suggested activity. And, I love the detailed reviews. My kids are drooling over the books they don’t already have. Thanks for sharing! Oh I love this list! 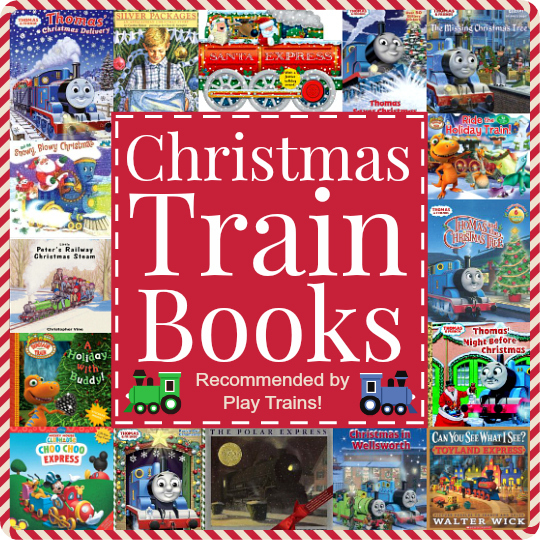 All the wonderful train Christmas books in one place. I cannot tell you how many times I have read Thomas’ Christmas Delivery & of course, The Polar Express. Hi Steve! Was it Ocean Star Express?